1: Always Set Off From Home Early. Having travelled extensively across Scotland for work, I am fairly used to driving behind camper vans and caravans, or even just foreign drivers who are a bit unsure of the roads. It has come as no real surprise then that my part of North Wales is much the same as Scotland. It’s a daily occurrence that, when travelling from home to Dolgellau, I will absolutely, definitely end up stuck behind a tractor or a bus that has problems navigating some of the very narrow, winding coastal roads. There isn’t always space to overtake and you never quite know what’s coming the other way, so I find its best just to relax and enjoy the view, knowing that you'll get to where you're going eventually. Let's face it, there are worse places to be stuck behind a bus. There are lots of sheep in North Wales. Yeah, I know, that’s not really news to anyone. Being Scottish, I’m accustomed to seeing them everywhere I go. However, unlike the mild mannered, calm and mostly field-enclosed Scottish sheep, Welsh sheep are mental. On my first venture to Llanberis, I spotted a few errant sheep grazing next to a stone wall by the side of the road. By the time I drove past, one of them bounced over the wall, Greg Rutherford style, and landed with his head on my bumper. I’m not even kidding – my car was attacked by a sheep. After getting over the fright, I checked my rear view mirror to see him shaking himself off and carrying on across the road, where he continued his grass munching like nothing had happened. The other day, whilst singing at the top of my voice in the car on the way to work, the bus in front of me had to brake hard in order to avoid a crazy sheep that was running up the middle of the carriageway. The fact that it was holding up traffic didn’t bother him and he was having a lovely time darting along the tarmac. Maybe he was late for an appointment and realised that road travel is the quickest way into Dolgellau, I just don’t know. It took me several weeks of butchering the names of the towns and villages in North Wales before I finally got to grips with the pronunciation. The Welsh people here are fiercely proud of their language, as they should be, and, on first glance, you will be alarmed at the sheer lack of vowels utilised on road signs. After a few weeks of making a complete arse of the language, you will find a lovely native to correct your, quite frankly horrible, attempts at Welsh, and you’ll be able to speak freely without fear of being kicked back to wherever you came from. Say it with a strong Welsh accent and you might see where I went wrong. I assumed, in my naivety about the fine people of Wales, that everyone would sound, well… Welsh. As it turns out, a lot of people I’ve met sound more English to my ear, despite being born and bred in the nation. Unlike Scotland, where I can pick out a Glaswegian, Aberdonian or Edinburgh native just from the words they use, I’m at a loss here. In the same vein that Americans tend to think I’m English or Irish because they don’t hear the accents enough to differentiate between the UK nations, I’m having much the same problem in Wales. What I DO know, however, is that Welsh accents I DO hear are soft and musical and I really want one. 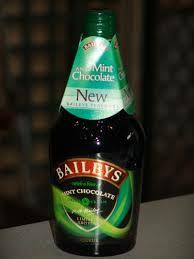 I’m also still desperate for someone to ask me ‘what’s occurring?, or to have an involved conversation about Mint Baileys. Obviously, as most of my Welsh knowledge was based on episodes of Gavin and Stacey, I had heard these phrases before. However, the first time a real, live Welsh person said them to me was the highlight of my year. As well as the accent being gorgeous, it’s just such a lovely turn of phrase. I recently caught myself offering my colleague a lift home by saying, ‘I’m going that way anyway, I am…’ and now I can’t seem to stop it. I’m all ‘I love that, I do’ or ‘I’m going to buy wine now, I am’. Basically, I now speak a Welsh colloquial version of English in a strong Scottish accent. And yes, it sounds odd. Much like my Aussie friends and family have their names shortened from Lindsay to Linno, Matthew to Matty, and we Scots don’t recognise names like James (Jimmy) or Thomas (Tam), Welsh people are fond of nicknames. Deilwen is Deil, Richard is Rich, Ilona is Lons, and Nathan is Nath. It either means that everyone knows each other really well or they really can’t be bothered using someone’s full name. Either way, I’m good with it. I’m still called Suzanne for the moment, though, but I’m hoping to have this shortened soon. The only person who calls me Suzanne is my Mum and it’s generally followed by a stern talking to about something I’ve done wrong. The use of my full name makes me quite nervous. This probably isn’t true for ALL Welsh people, just as it’s not true that all Scots are tight with money and are addicted to whisky. 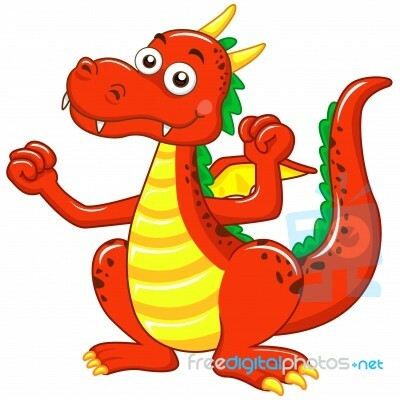 The Welsh don’t all grow daffodils and keep dragons as pets, either. Although they totally should. Think of how burglary statistics would go down if people had fiery red dragons slumbering peacefully at the end of their beds. It’s definitely something that the Welsh Assembly should be hotly debating (pun intended). Anyway, all the Welsh people I’ve met (and bearing in mind I work for DWP), have been bloody lovely. We seem to share the same principles and values and have a passion for football and rugby, even though we might not exactly be world beaters at either. In addition, I’ve still to meet a Welsh person who hasn’t regaled me with stories of holidaying in Scotland and this never fails to make me smile. Unfortunately, these stories are often accompanied by tales of being tight and drinking to excess, so it kind of reinforces the stereotypes I was trying to disprove earlier. Oh well, if you can’t beat them…. Ok, so this isn't the best representation of a scary dragon, but look at his face! Sooo cute.